MOTIVATED SELLER! 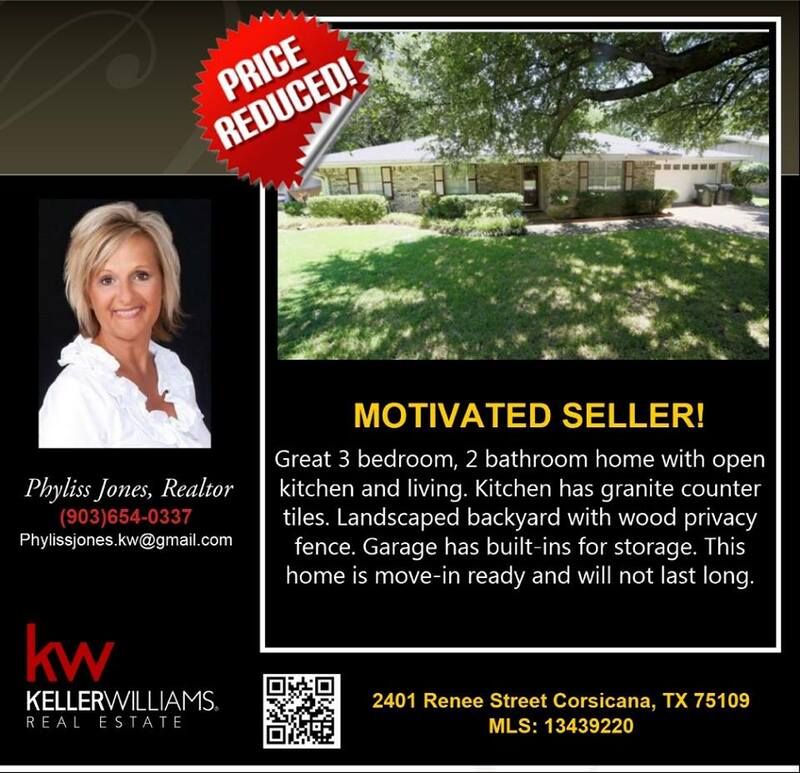 Own this Reduced Price Beautiful Home in Corsicana! You may contact me for more info. 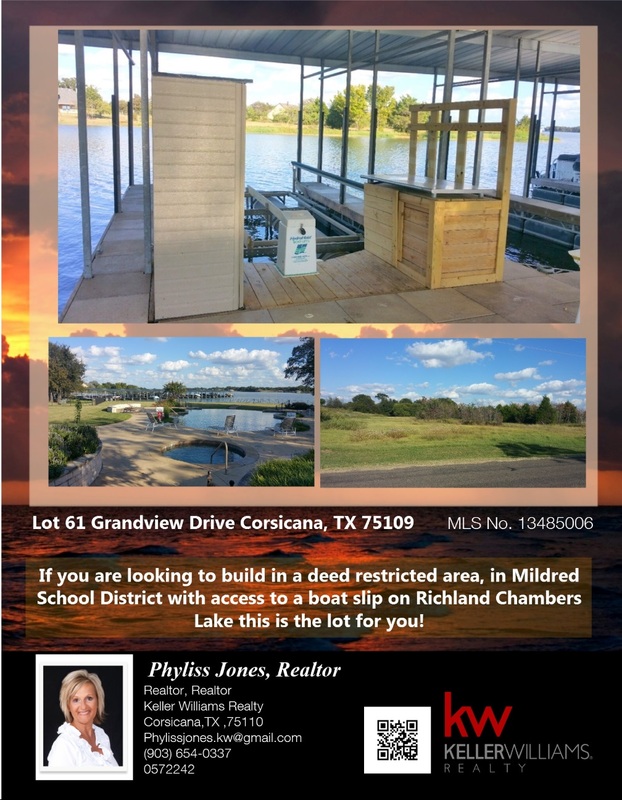 Phyliss Jones, Realtor (903) 654-0337. 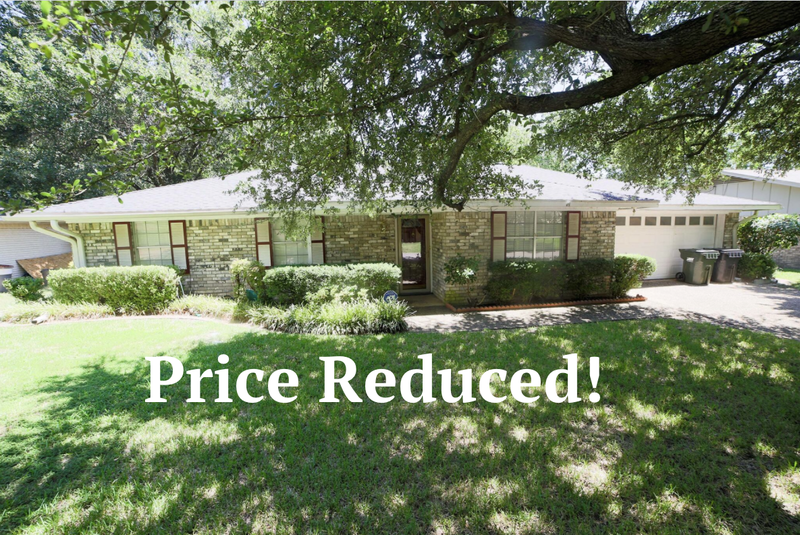 Reduced Price Wonderful Home in a Beautiful Location. Motivated Seller! Please call me for more info. Phyliss Jones (903) 654-0337.